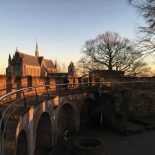 Browse posts in The Leidener by month of publication. For a more detailed list of posts by date, check the Post Calendar on the sidebar to the right. Tired of Valentine’s Day? Try something from the East! WANTED: Where did my Haagse-rainforest go? Best photography exhibition I have seen in a very long time!!! A Visit to Cafe Delirium, Home of the Pink Elephant. How to become a trader in Leiden University? A visit to the Tito Museum, A unique experience. Exam Stress? How to keep calm and study on! What a Christmas time that was…! 10 Authentic Winter-Wonderland Things to do in the Lowlands. What inspires you? TEDx in Leiden: Circles of Life. Sick of Studying In Your Room? Here You Go! Hungry? Not in the Hague! The Leiden Marathon is Here! Spreken or not to speak? Coffee + House = Koffiehuisje ! Watch out on the road! Wait, we’re supposed to be adults now? That balls the wrong shape…. Leiden MUN goes to America! Do dutch students take themselves too seriously? A taste of the deep south….